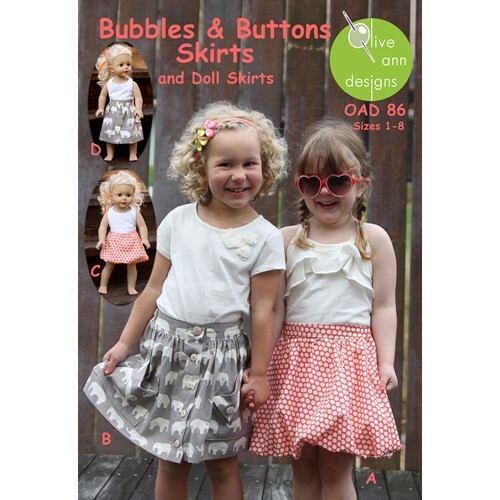 The fully lined, pull-on Bubbles skirt is easy to make and fun to wear. 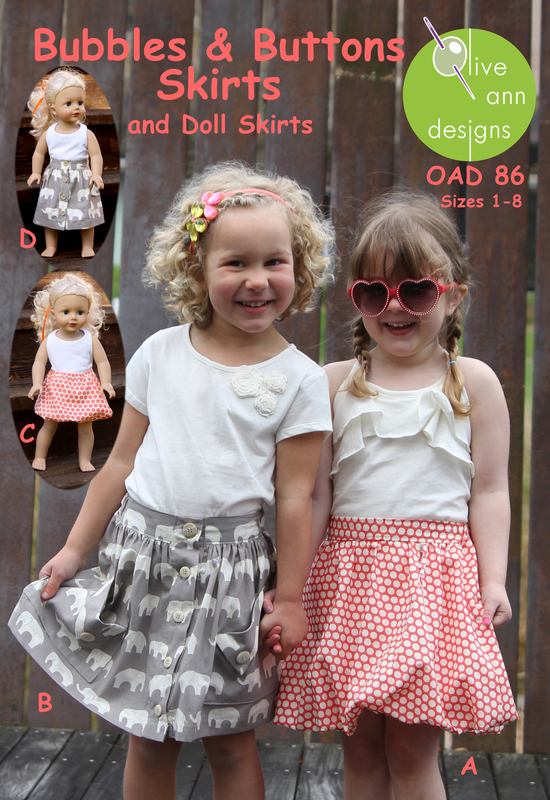 Great for everyday wear in light to medium weight cottons or dress up in satins or velvets. The Button’s skirt buttons down the front or can be made as a pull-on skirt with the buttons for decoration. The two, playful pockets can have an optional coordinating fabric for the flap. Both have elastic in the back of the waistband for an easy fit. Available in tissue pattern that will be shipped or a downloadable PDF pattern, both with complete, detailed and easy to follow instructions.